This is what we do, isn't it? Dwell on the things we have lost, the pains we have endured, what we don't have. 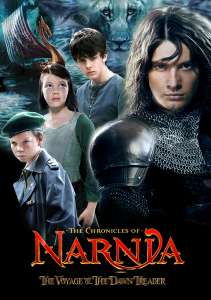 This Prince Caspian quote is from the Chronicles of Narnia movie, "The Voyage of the Dawn Treader". The only line that truly stuck with me from the movie (it was a great movie, by the way). In a lot of ways, the quote says it all. At every crossroads we have a choice. Just as there are two sides to every coin, there are different ways we can look at things in this life. It's our perspective and I think it has everything to do with how we handle things. The dictionary defines PERSPECTIVE as "a view or vista; an outlook; subjective evaluation or point of view". It's easy to get bogged down and overwhelmed by it all. Do you spend your time looking at what was taken away? Is the glass half-empty for you? Are you a victim of your circumstances? We all suffer from this way of thinking one time or another. Sometimes I think it's easier to see the bad. You hardly have to look for it. And some of us our predisposed to be pessimistic. We are grumblers, complainers, and selfish. But we don't have to be. It is a choice and it's all yours. You are in control of how you look at things. You decide if the cloud has a silver lining or not. May we all have eyes to see the big picture, the gifts given, the blessings received. Because one perspective leads us to the pit (despair) and the other one leads us to life (hope). I just finished reading "Choosing to SEE" by Mary Beth Chapman. She is the wife of contemporary Christian singer, Steven Curtis Chapman. In 2008, their five year old daughter was hit and killed by a car in the driveway of their home. The driver of the car was their son, Will. It's an incredible story of loss. I thankfully can only imagine the pain and devastation they have been forced to experience. But the story was also riddled with God moments, which can only be noticed when you are choosing to see them. After a sermon series at church going through the book of Esther, it would be hard to support a theory on coincidences. As a Christian I believe there are no coincidences. God has a plan and there is a reason that everything happens. Sometimes, maybe most of the time, only God knows the reasons why. There's no coincidence you are here, reading my blog (thank you!). It's all part of God's plan. Mary Beth Chapman's book would have been a sad, hopeless autobiography if they didn't believe in Jesus. Their daughter, Maria, believed in God and committed herself to Him (to the extent a five year old can do that). With great assurance, after her death, they knew where Maria was. She was in heaven and they would all be reunited with her one day. This gives them hope and peace at a devastating time. It's fitting to read this story at Christmas time. One day left of school and excitement is in the air. And I'm okay with the fact that our Christmas time is spent giving and receiving gifts and spending time with family. But only in light of the fact that Christmas is a special time of year because of WHY we celebrate it. Although the festivities are fun and making precious memories priceless, Christmas is more then just the birth of Christ. It's also a reminder of WHY Jesus was born and that points us towards Easter. God gave us Jesus as a baby, which was part of His perfect plan. But He knew that Jesus was the Savior of His people and that He was going to die. His death on the cross was a gift of forgiveness and of eternal life. Wishing my blog friends a wonderful Christmas full of JOY, PEACE, and LOVE! Spend some quality time with the people you love. Embrace the joy of giving gifts with a cheerful heart. May the peace of Christ and the hope his birth brings draw you closer to Him in the coming year. Christmas is my favorite time of year. All the lights, the tree, decorations, cookie baking, being with family, Christmas carols, and if we're lucky, snow! I love the way we celebrate the birth of Christ, remembering God's perfect gift to us. I do enjoy coming up with thoughtful gifts for friends and family and seeing their joy in opening something special from me. Can't possibly compete with how God must have felt sending His son out of His love for us. Every year I try to not get caught up in it all; the Christmas advertising, the big, BIG sales, the best gift, my checking account balance depleting. The holiday stress can turn you into a humbug. So because we're friends, I wanted to share with you my new favorite song. It's by Tenth Avenue North (I know I've been posting a lot from them lately, but they are just so good). It's called "All the Pretty Things" and it reminds me of how easily I can get sucked into the things that don't matter. Speaking of Christmas gifts, this album would be a great one for someone you love! I don't know how to deal with shame. It's not something we talk about a lot with others because well, we feel uncomfortable about it. For years I've been trying to deal with this deep seeded, subconscious yuck. This feeling that paralyzes me. And it's easy to not deal with it by not talking about it. But I know I'm not alone. I know we all deal with shame in our lives. Because shame is a consequence of sin. And we're all sinners after all. Webster defines shame as "the painful feeling of having done or experienced something dishonorable, improper, foolish; disgrace; a cause for regret, disappointment." We may feel shame when we let someone down. Or when we've made a bad choice, especially if there are big consequences. If you don't let it go, shame can hold on to you for a long, long time. It can be devastating. It can keep you from growing, the way God intended for you. Why is it so hard to let it go? I don't know the answer to that one. In fact, I'm not all together sure how you get rid of shame, particularly if it's hiding deep inside. But I want to offer hope. I was kindly reminded of God's truth in a way I had never thought of before. It's not that I had never heard it, but I had sort of glossed over it. Never really taking it to heart. I know that Jesus died on the cross for our sins (1 Corinthians 15:3-4). He became a living sacrifice, our atonement for sin. But there's more to it. Not only did he die for our sins, but he took away the shame that goes with it. More times then I can count I have sung about how Jesus took away our sin and shame. That awful, regret-filled, guilty, shameful feeling is covered by the blood of Jesus. So maybe that's the road to healing shame. Remembering that shame is something I can give to God. That Jesus died to remove that from me. And holding on to it, well, that's just another one of my sins. It doesn't matter why I feel the shame. But the fact that I am still chained to it, that it still has such a powerful grip on me is wrong. I just thought I would share. Because I know there are others crippled by that shame. And God offers hope for us, through Christ Jesus. My chains are gone. I've been set free. Today I had one of those "life flashing before your eyes" moments. Driving to pick up my kids from school this afternoon a commercial truck ran the stop sign and almost drove right into me as I was turning left in front of him. I screamed. I swerved. I am not quite sure how neither one of us managed to hit anything. There was no time for horns. And when it was all said and done we both continued onward as if nothing happened, even though something did. Adrenoline still pumping, hands quivering, tears filling eyes, I took a deep breath trying to pull myself back together. What could have happened, but didn't. The split second reactions that somehow saved me from impact. And I'm fine. Just shaken up. Reminded how it all can change in a split second. How everything we have, even our lives, can be altered, even gone, in an instant. Just one person neglecting to see a stop sign, a bad choice made, a missed step, or a moment of weakness. How there is a cause and effect to everything we do. That we cannot take back words said in anger, an attitude, or even a "first". There are no do-overs. Second chances and grace are a beautiful gift, but they do no erase what's already been done. I know all about forgiveness. I believe in letting things go. Sometimes it's the very thing we need forgiveness for that is the catalyst for changing our hearts. It's the thing God often uses to save us. To bring us to Him. So in this time of giving thanks; as we prepare to celebrate the birth of Emmanuel, the One who came to save us all; let us remember to appreciate all that we have, to not take people for granted, and to leave a legacy of love and kindness. That we would live our lives mindful of the choices we make. How one bad decision or even something out of our control, can alter all we hold dear. What does 3rd grade math, turkey apples, bible studies, turning six, and a camera have in common? Well, they are all to blame (and more) for my blogging "sabbatical". Can't write a blog post when you aren't at home. And I can't say that just because fingers are touching keyboard that I have much to say. My mind is foggy, a whirlwind of activity and I'm having trouble thinking straight. The last few weeks have been really busy and I'm not sure that I like it. Busy just means you are too distracted to sit still. And after writing a blog post about being still I can't say I'm taking my advice to heart. Thanksgiving is in a few days. A holiday that, unfortunately, begins the crazy Christmas season. Seems difficult to slow down when the rest of the world is amping up, but I'd like to make a commitment to try. I need to take a time out. It's my fault, you know. I'm the one over scheduling and now that my kids are in school full day it's easier to do. Skip lunch, run multiple errands, volunteer here, help someone out there. I have enjoyed all of the things I have been doing. It's just that I need to spread them out over time instead of trying to squish them all into one day. It's all me. I'm the one who carries as much as I can in from the car so I don't have to make multiple trips. Who cares if I cut the circulation off in my hand or I look like a pack mule. You get the problem. Anyone else out there like that? So whether you have too much time on your hands or not enough, I want to extend my warmest wishes for a happy Thanksgiving. That as we eat our turkey, mashed potatoes, and cranberry sauce, that we would sincerely remember with thankful and grateful hearts what God has provided for us. May I also recommend this book about Thanksgiving by Barbara Rainey that you can read together as a family. Do you remember what it's like to be still? Only the sound of your own breathing. Maybe the tick tock of the wall clock. Have you ever sat still outside? In your stillness hearing only nature's orchestra; birds singing, the wind rustling tree leaves. Sometimes I forget what it's like to be still. So busy I stop hearing the wind rustling leaves. Stillness sounds replaced by car engines, people talking, and screaming kids. There's always something to be done. Somewhere you need to be. Do we allow the distractions so we don't have to be still? Are we afraid of stillness? This morning I sang at church. Well, correction...I tried to sing at church. I practiced many, many times without a problem. But this morning, in the middle of communion, I sang and tears flowed. I can't really tell you what happened. I wasn't having a rough morning. Nothing was really troubling me. But when I sang, the truth of what I was singing became too close to bear. I was overwhelmed by God's truth. He is here. Be still, my soul, be still. Wait patiently, upon the Lord. Be still and know He is God. He is here. You want to know what was wrong? I'm terrible at being still. I do not wait patiently upon the Lord. And I'm overwhelmed that He's here. That He loves me. That He takes care of me and my family. That I can see that He is here, in my life and in others'. This is why I cry. The Holy Spirit reminding me of what I'm not doing. Reminding me of why I struggle so. If only I would trust Him and know that He is here. I mean really KNOW. I want to be still. To stop worrying about what comes next or how things are going to work out. That I can be still and wait on God. To stop trying so hard to make things happen. Stop being so self-protective. Stop trying to do what only He can do. May we all find a moment to be still. To hear the things that can only be heard in the stillness. To wait...patiently. Please watch this video. I promise you won't be sorry. To turn off the blog music, scroll to the bottom of the blog and press "pause". As part of our marriage ceremony over eleven years ago, Adam and I lit a Unity Candle, symbolizing the joining of our individual lives. Times change, sometimes for the better, and there is a new "unity" tradition some couples are using that I think better represents this idea of "unity". 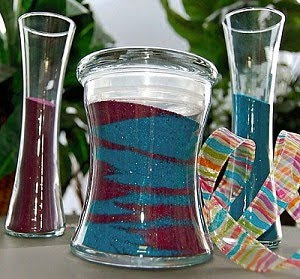 Each taking a different colored sand, they pour their sand into a larger vase. And as the husband pours his blue sand and the wife pours her pink sand, the colors come together. Her sand mixes with his sand. And his sand mixes with her sand. Parts of her and parts of him come together in the vase. They fill in around each other uniting the best of both people. You can still see the pink. And you can still see the blue. But together, they are one vase of sand. Marriage is hard. Becoming intertwined with another human being, someone who does things differently then you, can get complicated. Some couples may find it easier then others or some couples just aren't willing to admit that they have their moments. We disagree. We get angry. We misunderstand, misread, make assumptions. We don't communicate our expectations. We assume the worst. We get defensive. We pout, withdraw, and grump about. This is married life. Thankfully, only some of the time. So as God does, He has been using the moments of tension in our marriage to teach me some things about myself and about being a wife. And I humbly admit to you what I have recently learned. I had this dream of what life would be. I imagined my knight in shining armor husband who loved me the way I needed to be loved. 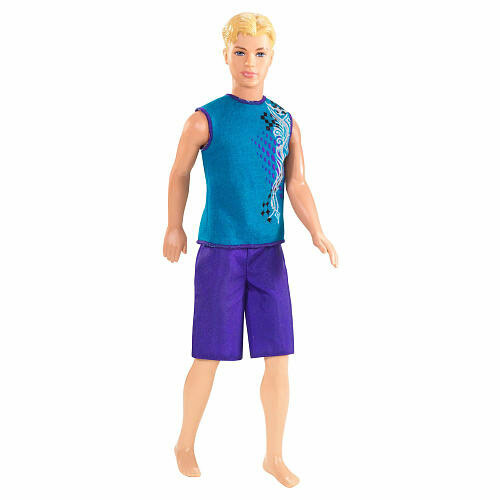 A "Ken" doll who would never let me down, would always put me first, and would absolutely and whole-heartedly adore me and only me. A "perfect husband" doesn't exist. Just like a perfect Christy doesn't exist either. A friend said to me the other day that at some point you just need to accept your husband for who he is, even if he's not the knight on a white horse you imagined him to be. Accept your husband. "You mean even if he doesn't..." Yes, accept your husband. "Even if he forgets to..." Yes, accept your husband. "But he promised he would and he didn't do..." Yes, accept your husband. Sigh! So how do I even do that? Love him. Encourage him. Stop telling him what he isn't doing. Stop trying to change him. Have faith. Pray. This quote is so true. "Fear ruins our actions of faith." God wants us to overlook an offense. He would rather we sometimes choose to "let ourselves be wronged or cheated" (1 Corinthians 6:7). I am all about fairness. But I was reminded today that although God cares about being just and fair he is also merciful, forgiving, loving, etc. Our fears and our expectations that everything be fair, just, and the way we think it should be get in the way. Fears and expectations get in the way of love, the greatest thing of all. Adam, please forgive me for not loving you the way I should. I am sorry that when I am motivated by my fears I criticize and pressure you. I love you and accept you for who you are today. I want to replace my high standard dream of "happily ever after" with something more attainable. My dream is you and all that you are. The good, work in progress man that God gave to me. Warts, scars, good, bad, baggage and all. God's perfect gift to me. Your sand mixing with my sand. That's what I want. Forever. Even if you're falling apart. And all the shame you've kept in your heart. Because it's not enough just to say that we're okay. I need your hurt. I need your pain. It's not love any other way. Trying to convince me that you're alright and everything's okay. Do you even know Me? And all things that kept us apart. So reach in and touch My scars and know the price I paid for your heart. A broken and contrite heart I will not despise. Come as you are and I won't close my eyes. Check out their "Any Other Way' video journal. My eight year old has green paint on his red t-shirt. Unless he's decorating for Christmas it's not supposed to be there. Before you think I'm an unfair Momma, you should know that he has a perfectly good art smock in his school bag and we have encouraged him many, many times to wear it when painting at school. So another day goes by and another shirt is branded with paint. So I ask him, "Why didn't you wear your smock?" He had several answers. First it was "I forgot." Then it was "It was in my bag." Finally, we got down to some truth. Basically, he doesn't WANT to wear the art smock because NO ONE ELSE IS. I get that. It's not COOL to wear an art smock when NO ONE ELSE is. At what point do we go from blissfully unaware to caring about whether other people find us "cool" or not? It's a right of passage, I guess. I could say so much. I could say it doesn't matter what other kids are or are not doing. I could say that you may perceive that not wearing an art smock is cool, but who's the cool one when everyone else has paint all over their shirts and angry Mom's at home and you don't? I could say that you should be happy you have an art smock and paint to paint with and a shirt to get paint on and a school to go to when other people in this world have nothing. But I guess the part that bothered me the most was he didn't listen to us. We asked him to put the smock on (even though no one else wears one) and he disobeyed. Peer pressure at eight! How do we teach our kids not to care? How can they be confident in who they are if we aren't confident in who we are? Am I cool? (please don't tell me if I'm not) Am I acceptable? Who gets the "privilege" of deciding my coolness factor? You give that power to people. And it is a privilege. Not everyone deserves it. And ultimately it doesn't matter if you think I'm cool enough. I know Who I belong to. And He thinks I'm more then cool enough. I have a very distinct memory of driving in the car with my brother. We decided to take a short cut in an area we weren't completely familiar with. The road ended at a "T" intersection and we had to choose whether to turn left or right. I remember one of us thought left and the other one thought right and since he was driving we went his way. We found our way. Turns out it wasn't the most efficient choice (we should have turned the other way), but we still got to where we were going. For whatever reason, decision making is something I have trouble with. And I'm not all together sure why. Maybe it's because most of the time we are deciding something without knowing the outcome. How are some people confident in making decisions and others not so much? I'm sure some of it is personality and some of it is faith. Whether you are deciding what restaurant to eat at or what car to buy or what school to go to or whether or not you should take that job or play that sport or commit yourself to another activity, we are making decisions every day, almost at every turn. Sometimes we are deciding whether to buy the oranges or the apples, but other times we need to make potentially life changing decisions that have a big impact. Being a Christian, I know the best thing I can do before making a "big" decision is to pray about it. I have even been encouraged to pray about the "little" things, too. Asking God for guidance is what I need to do, but how will I know the answer? I have wrestled with that many times before, wanting God to make it abundantly clear what we should or shouldn't do. And sometimes, we wind up not making a decision at all because we're waiting. Not that waiting is a bad choice, but sometimes we let the deadline pass or the opportunity slip by because we can't seem to figure out what we should do. I wonder sometimes if making a decision, any decision, is better then not doing anything at all. There are other times when we have made a decision about something only to ponder and question our choice after we have made it. Did we make the right one? Should we change our minds? Why is making decisions so difficult? Some define a "decision" as "the act of making up your mind about something, or a position or opinion or judgment reached after consideration." I found a website about decision making. They defined a decision in a more practical sense: "The process of selecting from several choices, products, or ideas, and taking action." The most important part of this definition, I think, is the taking action part. Sometimes we just have to decide and implement. Like the "T" in the road, you can't just sit there staring at the options all day. 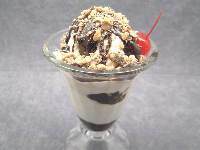 Sometimes you just have to choose; eenie-meenie or flip a coin or go with your gut. I believe God opens and closes doors. I believe if you are making a choice and you have been praying about it that God will direct and guide your steps. He may not hit you over the head with it. And He may allow you to make the wrong choice so you will learn from your mistake. The website I found, although geared to making career decisions, lays out 7 steps in making a decision that I thought were valid enough to share with you. Identify the decision to be made - exactly what are you trying to decide? Develop a plan of action - and implement it! Ultimately wisdom in our decision making comes from God. Do you pause long enough to hear what He has to say? I might guess that God doesn't really care whether we buy the red one or the blue one, or whether we have chicken or beef for dinner tonight. But coming to God in prayer, even in the little things, is like going to our parents for advice. He wants to know that we care what He thinks. Boy do I need to do more of that. Are you a good decision maker? What's your secret? If you have prayed and asked God to guide you in making a particular decision, how did you know what He wanted you to do? I'm willing to guess we all have testimonies of how God showed us the way in making a decision. Would you be willing to share? My husband's alarm clock is set nearly half an hour fast. I think so he can hit the snooze button like a hundred times before he actually HAS to get up. 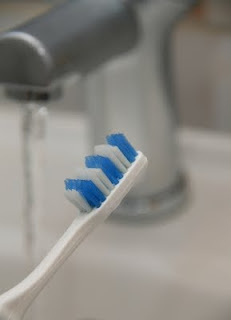 I need to wet my toothbrush with the toothpaste on it before I start to brush. Someone I know cannot have their food touching on the plate at ALL costs. We all have things we do. Some annoying, some strange, some perfectly normal or so we think. Why do we do the things we do? The examples above are silly OCD kinds of things, but we all act the way we act for some reason. Chalk a lot of it up to personality, but that isn't all of it. In a marriage care group we attend we took a personality assessment test to see what our L.O.V.E. styles are and how they work with our spouse's style. It was an interesting activity and my results were mostly true for me. The thing about these personality style tests is that they don't measure how life experiences, good & bad, contribute to who you are. Would our test results be different if this or that hadn't happened in our life? The truth is that life experiences, particularly negative ones, have a real effect on who we are, the choices we make, and how we relate to others. Where's the test that measures that? I think it's easy to look back at the things that have happened in our lives and feel victimized. "I'm this way because of how I was raised." "I can't trust because I have never been able to trust anyone." "People always let me down, that's why I have to do it myself." "She made me feel bad about myself, that's why I have bad self-esteem." Do you ever find yourself making excuses or justifying your behavior by blaming someone else? I am not saying that the choices others make don't contribute to why we are the way we are. For a long time I didn't even realize that the reasons I struggle with certain things or why I react to situations or people in a particular way were because of experiences I had in my life. I never connected it before. Like cause and effect, we can be acting or REacting because of issues we aren't even fully aware of yet. I believe that it is important to self-evaluate. Have you ever asked yourself why you do certain things? Why are you so angry? Why do you have trouble being yourself around others? Why do you take control of EVERYTHING? Can you connect the dots? Can you understand yourself a little better by figuring out not just what you do, but why you do it? As much as I didn't want to hear it at the time, the truth of these statements have stayed in my heart & mind since the day I read them. When traumatic things happen we find ways of coping. There may be completely justified reasons why you act the way you do, but when you know better it's no longer innocence but sin. If I choose to be an untrusting, self-protective adult that's a sin, irregardless of why I am that way. The key word is "choose". As I said before, some of us, maybe most of us are either in ignorance or denial of why we do the things we do. But if we are making sinful choices, we cannot live the life God wants for us. We are bound and chained by the things that happened to us in the past. If we never move past them, never understand their effects on us, never address the choices we are making because of what happened, then we are sinfully stuck. I'm not saying that one day you will understand that your lack of trust in relationships was because you never had a trustworthy friend growing up and that realization will magically cause you to trust people again. What I am saying is the realization of your lack of trust, coupled with the legitimate reason that caused you not to trust, will give you insight and motivation to make some changes. Your awareness of your trust issue may help you to make different choices. You may be reminded when you start down a path to distrust that you are not trusting because of someone or something else from the past. Not because all people are not trustworthy. This is powerful and it's not easy. Realizing what you are doing and why isn't that fun. It might mean you need to forgive someone who hurt you. It might mean you need to work through the pain and trauma of what happened before you can make efforts to change it's effect on your life (this can be done with a trusted counselor). It can be upsetting. You may have been reacting that way as long as you can remember. It may seem impossible to change. And you might be right, if you are trying to do it on your own. The changes in my life and my husband's life could not have been done in our own strength. God is still at work in our lives, revealing things that are holding us back. Growing and maturing us by encouraging us to work through issues we still struggle with. Change is hard. Making different choices; bold, "unlike us" choices is not easy. It takes a commitment to healing, to obeying God's word, and often, to other people, especially the ones that love us. The Holy Spirit in us can show us the way. Change is a desire of the heart. God will show us what needs changing if we are willing to ask. Why do you do the things you do? Are you held back by things that happened to you in the past? Do they keep you from living the life you were created to live? Are you "sinfully stuck"? Yesterday was a deep day. I blame reading this post about secrets from HOLY EXPERIENCE. It rattled something in me. I was overwhelmed. Maybe because I agree with her. Maybe because my life now is a result of turning secrets into light. I wish I could explain to you all what's gone on in my life. I wish I could share with you the way God changed me. He changed my life. And I don't know how to make that clear to you without sharing the rawest parts of me. But here's my conflict. We are encouraged to be "real". 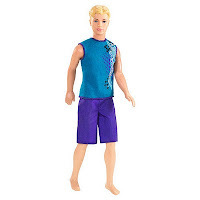 "Real" is who we really are. Not a mask. Not what you want me to be. "Real" is who I am deep inside. It's my thoughts and my opinions and my hurts and my joys. Some of us just can't go there. Some of us are so guarded and protected inside that they dare not reveal themselves to anyone. Yesterday, unplanned, I shared my story with a trusted friend. My WHOLE story. The things I allude to. The reality of what I generally refer to. It was a God moment. We cried together. How can you not? How can you not feel overwhelmed when you see how God works and moves in a life? When my friend says, "I don't know how you did it." And I say, "That's because I didn't. God did." And that may sound like Christian-speak, all fluffy and fake. But I MEAN it! In my circumstances, I was not the one in control. The strength and grace to carry on did NOT come from me. I can hardly explain it. I just walked, one foot in front of the other, led from one moment to the next. Now six years after my world came crashing down I can see that it was not because of my own strength. The world is proof of that. Most people would not have made the same choices I made. It was God in me -- and I am on my knees thankful for that. So that post about secrets gets into my core. Because I want you to see God in my story. Not just because I tell you He was there but because you would see Him yourself. People close to us that knew us "then" and know us "now" can see it. They can see the change. They know something happened. And if you know anything about change you know that it isn't easy. That most people say they can't change. Some people want to change but don't know how. Well our change happened because God made it so. Not because we were capable of that kind of change on our own. Maybe you don't tell the world your deep secrets or hidden shame, but I think the point is that you can share it with someone or a group of trusted someones. Does anyone know the deepest parts of who you are? Because I have experienced the pain of keeping secrets inside. I have to deal with the repercussions of that now because it effects who you are. It clouds your thoughts, it filters what you hear other people say, it keeps you from trusting other people. Stuffed down secrets can make you sick. They can effect your relationships. They keep you in a place where you feel all alone, like you're the only one. And that's a place that keeps you from moving forward in your life, from letting go, from living life. You can live without shame and guilt if you can be authentically you in all circumstances. Most of us struggle with what other people think, but why is it that we care so much about that? If you really knew me you wouldn't like me? And if you don't like me because of who I am then why do I want you in my life anyway? We're all broken. At the end of the day, not being truly you can ultimately keep God's story from being revealed; keeps others from seeing God. What's the story God is weaving in your life? Why are you afraid to share it? What's holding you back? It's the 4th week of school and I think, somewhere between the third week of school and now, I have found my ASHMWKSFD groove. I sit here listening to the tip tap of the rain outside because the house is quiet and I can actually hear it. The kids are adjusting and I'm adjusting. You ladies were right, I will still be busy even with the kids in school all day. Getting better at the day to day. Getting things done and not feeling wasteful of my time. It's different. Not bad or good, just different. I was tucking my son into bed last night when he leaned up to kiss me on the cheek. He said, "Mom, I love you like crazy!" What a beautiful thing! My kids are such a joy to me. I wish I could bottle those moments as a reminder on those hard parenting days. So I'm in this place where I'm trying to figure out what God wants me to do now that my kids are in school all day. And for whatever reason I'm feeling this great pressure that because we don't have a lot of money that the expectation (not from my husband) is to go out and get a job. I'm not saying there is anything wrong with that, but I don't know if that's what God wants me to do. I don't even know what kind of job I would go out and get. I love photography and video editing and writing from the heart. Can I get a job doing that stuff, please? I love volunteering at school and going on field trips and being involved in my kids lives. I still want to be available to do that. It's important to our family. We can't have it all. Don't get me wrong, I'm a hard worker. I'm not saying I don't want to "work". I'm just saying going out and getting a job, any old job, just doesn't feel right to me. Not now. So by faith I'm going to try to take more pictures. And by faith, I'm going to edit videos for this really kind and generous Christian man that is willing to use me to edit some ministry projects for him. Here's something he shot and edited. And I don't know what any of this will look like. And I continue to pray, NOT that God will bless what I HAVE decided to do, but that He will lead and guide my path to do what He wants me to do. I don't want to get in the way. Adam and I were given the great blessing of attending a Christian Marriage Conference this past weekend. We're always interested in opportunities to refocus and recommit ourselves to each other; and the weekend away wasn't too bad either. Although I'm not at liberty to share much of the specifics about the weekend, I feel like I would be remiss in not saying anything about it. The truth is, the weekend was a great blessing. And I just can't keep that to myself. It was convicting, eye opening, and overwhelming. So beautiful to meet couples who, in spite of trials, are committed to forever. It was a huge reminder that everyone has a story. "No temptation has seized you except what is common to man" (1 Corinthians 10:13), meaning you are not alone in your struggles. There are people who have endured more or less, but we all have something. I have written about this before, but somehow when I'm in the middle of a difficult time, a period of time in a process, I forget this important truth. God says, "I have told you these things, so that in me you may have peace. In this world you will have trouble. But take heart! I have overcome the world" (John 16:33). He tells us we will have trouble. He also tells us these troubles will strengthen us (in James 1:3). The idea, the reminder from this weekend, was that we have a choice in how we respond to what happens in our lives. That we can choose to live in a state of praise & thanksgiving. Christian speaker, Ken Poure says, "we can only think about one thing at a time. We can't worry and thank God at the same time." Never really thought about it like that before. Humans are selfish. We worry about ourselves all the time. But praise is unselfish. It focuses our attention away from ourselves. "God is God and I am not" (Ken Poure). God is in charge! What a relief! "God brought me here. It is His will. In that I can rest. He will make the trial a blessing, teaching me lessons He wants me to learn. In His good time, He'll bring me out again." I believe this way of thinking keeps us from blaming God when hard things come. It reminds us that we can either be the victim of what is happening or we can let the experience grow and strengthen our character. Paraphrasing from Ken Poure: It's about sacrificial praise. Surrendering your right to control and your need to know why, your right to complain and groan, and your right to do it your own way. "If it's happening you need it. Don't argue with God" (Ken Poure). When I Can't See, I Know YOU Can! Sweet face smiling, big blue eyes, two little teeth sticking up from the bottom -- a lovely chance to meet my good friends' precious baby boy for the first time. He is such a happy, easy going baby and when he smiles, it's pure joy! I've known this friend for many years and I have had the great blessing of staying connected with her no matter where the road has taken her. She and her husband have done their fair share of traveling over the years, living in many different states all across the United States. Settled now for several years in Minnesota, they now have this beautiful (or should I say handsome) addition. For all of the years I have known her and her husband they appear to be just like any other normal couple. They love each other and the Lord and devoted many years to sharing their love of Christ by working with a music ministry. And they are like any other normal couple, but with one unique twist...her husband, Dan, has Retinitis Pigmentosa. 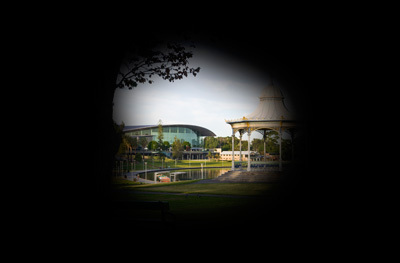 RP is a degenerative, inherited eye condition which affects the retina, resulting in progressive vision loss. Vision deteriorates slowly over time, usually over years. The outer edges of the field of vision gradually disappear leaving "tunnel vision". Over the past several years his vision has been declining dramatically. There is no cure for RP. Having just had the chance to spend a short 2 days with them I am overwhelmed at all they have to deal with. And I want to express to them how remarkable and inspirational they are because I know sometimes it doesn't feel that way to them. They live with the stresses of RP every day. It may complicate things, but they have done amazing things to make it work. 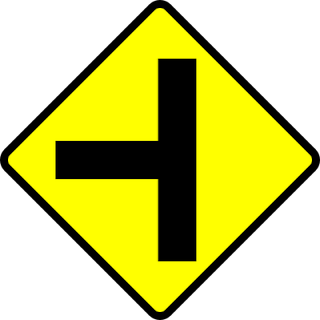 And right now they are at a crossroads. They are trying to make some big decisions and along the way struggling with the reality of this disease. They need support. They need resources. I am certain that God has a plan for their lives. I am certain that God is going to use Emma and Dan in a special way because of RP. I know there are other people out there living with RP or loving someone with RP and their story is going to inspire others. It's just so complicated. This world is not set up to support someone with sight problems. But when it feels like there are a lot of "cannot's"; can't drive, can't see details, can't navigate in low light, can't perform every day activities without support --- I know God can see all the "can's". God, please open doors for Emma & Dan. Lead and guide them to opportunities that will give them both purpose and direction. Make clear the way they should go. Protect them from the voices of uncertainty and hopelessness. I pray that they will trust You, Lord --- that you have a plan and will use them for your glory. I pray they will surrender and be open to whatever that is. Consider checking out Emma's Facebook Group called "Wives of Husbands with RP". Take a pound of ground beef, some oatmeal, some ketchup, some Worcestershire sauce, and some seasonings; mix it all together; form it into a shape resembling a brick or small loaf of bread; and cook in the oven at 350 degrees for about 30 minutes and voila! You have yourself a meatloaf...atleast that's the way I make it. I don't like meatloaf, mind you. Even describing it this way sounds as appealing as, I don't know, eating a brick, perhaps? The ENTIRE reason that I make meatloaf at all is because it's one of my husbands favorite comfort foods. I actually enjoy the thought of buying the ingredients and making them into a meatloaf because I know how happy my husband will be when he finds out we're having it for dinner. Add "the best mashed potatoes ever" and some steamed broccoli and he's in heaven! It doesn't take much for some people, I guess. See it's not really about the meatloaf. It's about the fact that he enjoys it soooooo much. 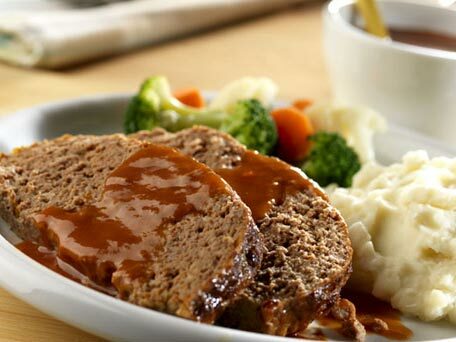 There is love in that meatloaf. It's not about me and the fact that I despise meatloaf (well, maybe that's a little strong of a word to use). It's about the fact that it's one of his favorites and I want to do things for him that make him happy. I love him! I only wish love could be in everything I make. Because I'm making it sound like I'm really great at loving my husband when in fact, I struggle the same as anybody else. Marriage is about loving the other person and putting them first. It's easy to do that when your spouse is doing that for you, but what if they're not? What if you keep on giving and they keep on taking? How long before you stop making them meatloaf? God wants us to love each other sacrificially, putting our spouse first. How does that play out in your marriage? Love isn't just in the meatloaf. It's in the dishes Adam does for me because I hate dishes. It's in the lunch I make him so he doesn't have to make it in the morning. It's in the folded laundry. It's in the ways we serve each other. But it doesn't end there. Love is not only in the things we do for each other. Love is in the time spent. Even in the activities given up so that we can spend time together. Love is in the intimacy that is shared and not withheld. Love is making connecting a priority. Love is knowing that the way I feel love is not the same as the way you feel love. And that may be the hardest thing of all. Love is trying. It's being committed. It's never giving up hope. If I give all I possess to the poor and surrender my body to the flames, but have not love, I gain nothing. Really, the reason love is in the meatloaf is because that's what's motivating me. I'm not making it for the sake of making it. I'm not grumbling and complaining when I'm making it because it's not MY favorite dish. I'm not making it BECAUSE he did something nice for me. I made it because I love him, pure and simple. With shopping list in hand I push my cart up and down the aisles filled with food. It's early and not at all crowded...just the way I like it. I bag up my produce, order my lunchmeat, and collect the items I will use to feed our family for the week. This was always an errand I didn't mind running, but it was always more complicated with the children. There were many days when I wished I could run in alone. It certainly wouldn't take me as long...and there would be no stop-touching-that's or come-back-here's to be uttered. But today, I was alone. Now if I could just preface this post by stating that I am okay. I am just trying to be real here. I'm not depressed. I'm not sitting in the house all day crying because my kids are at school and no one is here. The reality, though, is NO ONE IS HERE. And I'm feeling so bad these days at being alone. Once upon a time I was somewhat alone. I was independent and made choices for myself. I guess I underestimated how much motherhood can impact you. And I know as time goes on I will figure it all out and I might actually like the alone time. But I have a feeling I'm not the only one that's ever felt this way, so I'm going to share what I'm feeling for those Moms that totally get where I'm coming from. So back to the grocery store....I'm pushing my cart down the dairy aisle and my ear catches a line from the song playing over the store's speakers. "Blah, blah, blah ALONE". "Blah, blah, blah ALONE". I keep hearing the word "alone" and the voice inside my head says "you are so bad at alone". Then, my cell phone rings ("And I would walk ten thousand miles...") and it's my loving husband who KNOWS I'm ALONE calling in to check on me. And I tell him about the "blah, blah, blah alone" song ("Alone" by Heart) playing over the loudspeakers and how I was just saying to myself that I'm really terrible at being alone and he laughs. I am not pathetic (atleast that's what I tell myself). I haven't been alone all day in 8 years. I don't know how to be alone. How do I spend my time? Do I do errands and chores all day? Does that mean I'm a good stay-at-home Mom? Can I sit on the couch and read a book? Or watch that girly movie we rented but didn't have time to watch that has to be back at the store tomorrow or we have to pay extra for it (and I'm NOT doing THAT)? Does that mean I'm a slacker? What if other people knew I was sitting on the couch eating bon-bons? Would they even care? So all of THAT thinking leads me to this blog post about GUILT! There, I said it. Basically I think I'm bad at being alone because I have a guilt complex. I have a long list of things to do. Staying at home is pretty much my job...or was it taking care of the children? Because they aren't here all day anymore. So what am I supposed to do? What does this stay at home Mom do when her kids are in school full day? And besides guilt there is this overwhelming feeling like I don't know who I am anymore or what my purpose is because my main purpose is at school all day. Becoming a mother is like this identity that seeps into you slowly and before you know it it is who you are. And if you aren't careful it becomes the ONLY thing you think you can offer anymore. I know that I need "me" time. I deserve "me" time. But what does that look like in the day to day? I traded no "me" time for a day full of it and now I don't even know what to do with myself. I can't even use this "me" time for me because I feel guilty not doing any "work". Is your head spinning? Because I am an over-thinker. Maybe that's why this is so hard for me. Too much time to think. My fellow ASHMWKSFD's...how do you spend your days? And how do you do it guilt-free? Or is that just a dream I've convinced myself I can achieve? I'd love it if you would share your secrets with me. So the first day of school has come and gone. Both children are making their ways through the first days of a new school year. Both like their new teachers. Both have friends they already know in their class. Things could not be going smoother for this new transition...well, except maybe for the Mommy they're leaving behind. First drop-off was fine until she walked into the school building. As I turned to leave, alone, the tears started to flow. The teacher outside saying "you did that like a pro". I laughed to myself as I pulled my sunglasses down over my glistening eyes. Why do I feel silly crying? This is new for me. 8 years of being a stay-at-home Mom with little ones needing me. And now I walk back to my car alone. So yes, the first day of school was hard. I have a laundry list of things to do, but I'm having trouble figuring out which to do first. I get easily distracted and almost missed lunch without my little girl asking me a hundred times "is it time for lunch yet?" The first lunch home alone was quiet. I left a little early to pick them up because I couldn't wait to have them back with me again. If you missed reading the Prequel, click HERE. 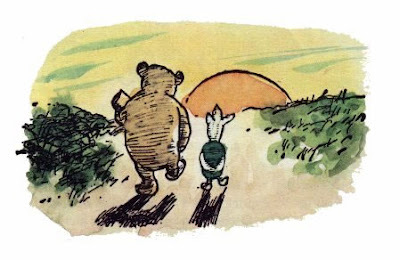 "Supposing it didn't," said Pooh. After careful thought Piglet was comforted by this." Who knew Piglet and Pooh from the Hundred Acre Woods were so wise? How many times have I found myself asking what if this or that happened? Sometimes I wish I had Pooh there to counter my thinking with a "what if it didn't". Stress (worry). Fear (worry). Anxiety (worry). It can consume. It can overwhelm us. Call it whatever you want, but we're all a bunch of worry warts. Awesome sermon this Sunday by our Pastor, Tony. He was talking about what it means to "fear the Lord" or not "fear the Lord" for that matter. It doesn't mean to be afraid of Him. It needs to be taken within context, but most often it means to love Him or be in relationship with Him. So why use wording like "fear the Lord"? Well, you might not like this. I know I was really convicted over it. Think about the things you fear (I know you have some). Fear has a tendency to consume us. Fears take over. We make our fears the thing we focus on. So maybe you don't think you fear much. Well then, what do you worry about? What do you need to be in control of? What in this world do you need to have or fear losing? Whether it's approval from others, a faithful spouse, kids that stay out of trouble, losing a loved one, or not having enough money (and there are many more examples)...the truth is we all worry about something. But is losing your relationship with God something you fear? Is walking away from Him? Not having Him in your life? I hope Pastor Tony doesn't mind me giving you the two big questions he asked us at the end of the sermon. Something to ask yourself as you contemplate worry in your life. Are you willing to accept anything God says, in any area, whether you understand it or not? So while in the "quiet" of my day I let my mind wander to all the things that are happening in my life, could be happening in my life, should be happening in my life, I hope WON'T happen in my life, I am overwhelmed by my ignorance. That worrying about any of these things might actually change anything. The things out of my control are not worth the wasted brain space. So "what if _______________ happens?" So "what if ______________ doesn't?" God's in control of it either way. Welcome to the prequel to "Adventures of a Stay-At-Home Mom with Both Children In School Full Day". Phewww...that's a mouthful. So my kids have not actually started back to school. That happens next week. But being the week before, it is not far from my mind. My son is going into 3rd grade, so we're getting pretty used to him being at school. But my youngest, my little girl, is starting full day kindergarten leaving this Momma home alone. The question of the day is "What are you going to do with both kids at school all day?". Hmmmm...sitting on the couch eating bon-bons comes to mind, but I quickly return to reality. Answering this question has been 2 years in the making. The realization that my hour to hour caregiving is coming to an end has made me wonder, "what now?" I'd like to preface all of this by saying I still have a very important, sacrificial role to both of my children. Just because they are going off to school does not mean, to me anyway, that they need any less of me. I want to be here when they are sick, have a day off, a snow day...as well as available for field trips, class parties, and helping in the school classroom. I don't know what it is going to be like. I don't know if the peace and quiet is going to drive me insane or if I'll enjoy it. I'm kind of looking forward to more of a balance, between wearing the "Mom" hat (which let's face it never comes off) and the "Christy" hat (which I still need to figure out what that looks like). So I'm thinking the first week will be great...Peace At Last! And then I'm thinking a month into it I may start to feel lonely. I guess I'll soon see. I should also say that God has been working in my life over the last few years, preparing me and making a way for me to use some of my gifts and talents for Him and for me. So although I don't know what this school year will look like for Mom, I'm hopeful that it will open the door for a little more Christy and a chance to create, give back, and remember what a little peace and quiet looks like. So stay tuned for more adventures of a stay at home Mom with both children in school full day (I'm going to need to think of a shorter title) to see if I survive…da, da, daaaaaa (that's mysterious cliff hanger music if you didn't know). Here are the links to Part 1, Part 2, Part 3 of Adventures of a Stay-At-Home Mom with Both Children In School Full Day. 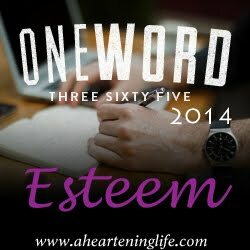 And here's a favorite post looking back from a few years down the road to encourage you. A couple of months ago, an old friend from high school emailed me to ask if he could post something on my blog. He was feeling a burden to share his heart for Christ with others and I decided I didn't want to stand in the way of God's leading. So today's post is from Matt. We graduated from high school together in 1994. 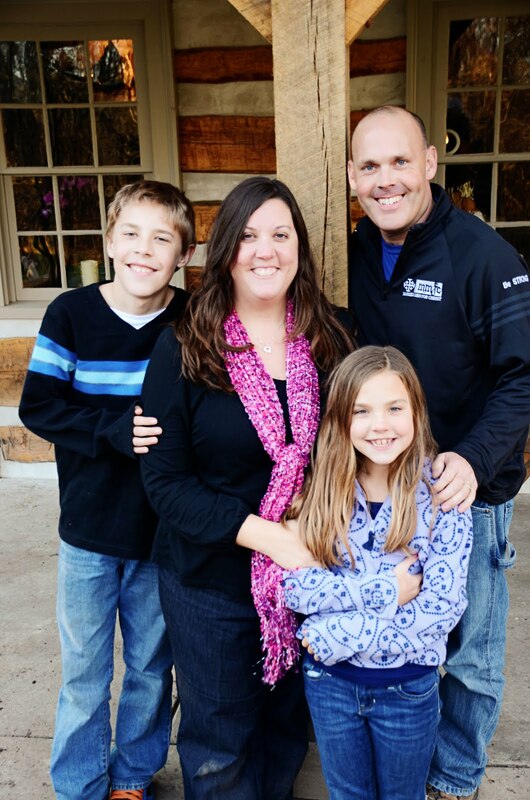 Matt went on to graduate from Temple University in 1998 and the University of Phoenix in 2007 (MBA). He sings in the choir and plays in the bell choir at Christ's Lutheran Church (PA). He's had the opportunity to give 4 sermons over the last 5 years at the church, and is prayerfully considering attending classes at either Lancaster Bible College or Westminster Theological Seminary with the hopes of becoming a worship leader/pastor. I hope you will enjoy reading his words and be encouraged by how God took a hold of his life. About 20 years ago, I came to believe that Christ was my Savior – specifically, I became born again in my faith when I began to pray to God for the first time and felt God’s comfort after my grandfather had passed away in the summer of 1992. But just after I graduated college, the passion for His redeeming message was missing in my life. Sprinkle in a few wayward missteps along the way, and my faith in Christ became more of an accessory. This all changed for me during the summer of 2008. During that time, I started meeting people that had clearly believed in God’s message (one person believed since the tender age of five), and had consequently lived a life of true love and happiness for God. Another person that I met through my workplace had a clear “born again” moment in his life when he started to read the Bible and suddenly realized that his former lifestyle was not giving glory to God daily. For me, though, the defining moment was when I returned to Camp Innabah later that year and saw the site where I gave my first testimony to a group of friends 16 years earlier. Being there, I started to suddenly realize what a complete fool I was whenever I mistreated someone or if I couldn’t forgive someone for foolish reasons. It clearly struck me that I had been forgiven through Christ’s death and resurrection all along. But thanks be to God! This new found revelation (along with the additions of my new friends) has motivated me to confidently proclaim that Christ is my Savior and to share with others how He died to destroy our sins in order to make us into “new creations”. What has held you back from fully trusting God and making Him the matter of first importance in your life? I would encourage you to open a dialogue with God through prayer, asking Him to reveal and defeat any roadblocks that are keeping you from having a close relationship with Him. The psalmist writes, “Search me, O God, and know my heart; test me and know my anxious thoughts” (Psalm 139:23). Most importantly, meditate on the cross --Jesus loved you so much, my friends, that He bore God’s wrath for your sins on the cross so that you will live again. Believe in the Lord Jesus, and you will be saved. So if you turn my blog background music off (pause it at the bottom of the blog) you might actually hear the surprise squeals from both Adam and I as we figured out it was a blue footed booby bird torpedo diving into the water next to us to catch a fish. I obviously did not get him diving head first into the water, but loving that I actually had proof that we swam with a bird. Amazing! I have no idea if he caught his fish or not. But it is definitely an experience we were excited to have had. The Blue-foot dives into the ocean, sometimes from a great height, and swims underwater in pursuit of its prey. They will point their bodies down like an arrow and dive into the water. Plunge diving can be done from heights of 33–100 ft (10–30.5 m) and even up to 330 ft (100 m). These birds hit the water around 60 mph (97 km/h) and can go to depths of 82 ft (25 m) below the water surface. Wanted to share with you a few more photographs from our trip to the Galapagos Islands. The beauty and uniqueness of the islands are a testament to the mighty power of our Creator God. 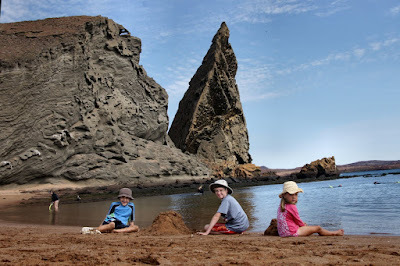 Our trip to the Galapagos Islands was full of surprises, not the least of which being how incredible the place really is. But just like life, our journey to Ecuador was full of ups and downs. And just like God, He showed up in the midst of them. I feel like our trip was a journey about trusting God. Anyone who has been on an airplane recently can attest to the unsettledness of flight, especially when turbulence happens. My mind was set on praying my anxieties away and it more then helped. (I don't typically feel uneasy about flying, but when my entire family, including my husband & two children are sharing the plane, it's hard not to.) So thankful for the many prayers said on our behalf because we had very copacetic and uneventful plane rides to and from our vacation...and not a bag was lost (and there were eleven checked bags). It's hard to describe anything on our trip as a "down", but I would be remiss if I didn't mention my lack of trust and feelings of powerlessness particularly when we first arrived in Ecuador. We stayed in Guayaquil, Ecuador for two nights, although the first night we arrived very late (on their Independence Day). Needless to say, our first experiences in a foreign country were early morning hours and an armed guard riding with us in our hotel shuttle. With our two young children with us, both Adam & I were feeling uneasy about our new surroundings. I was so taken back by my feelings of fear. Fear of the unknown. Fear because we were out of our comfort zone. Fear of being in a third world country, of crime...even of my inability to communicate with them (none of us speak Spanish). How easy it was to let those fears turn into judgement. Of a dirty city. Of crazy driving (well, that part was totally true). Of people who were different. So every cloud has a silver lining. Very thankfully that morning we took a four hour driving tour of the city of Guayaquil with a local named Victor. He was great! Getting out of our hotel, beyond those "safe" walls...slowly my fears began to recede and I was able to appreciate Guayaquil, their lifestyles, their culture, their home. We had a wonderful time and even came away with a restaurant suggestion four blocks walk from our hotel. It just goes to show you that half of fighting the fear of the unknown is just getting out there and experiencing that which you fear. Amazing! Down number two came in the form of our "cruise yacht", the Letty. It was really nice, slept 20 guests and 11 crew members. It was comfortable, accommodating, clean. The crew was amazing and so friendly. This time fear came in the form of rough seas at night. Not sure there would have been a peaceful place to sleep on that boat. Let me be clear, we traveled in July which is winter in Ecuador (clearly not winter as we know it). Winter in the Galapagos means the winds are up and the water is cold. Winds mean rougher seas (by the way, the crew told us the ideal time of year to make this trip is March). So the seas tossed us about several of the nights. People who don't get seasick got seasick, including me. We slept in the bottom of the boat, closest to the water. It was difficult to sleep soundly (atleast for me). The sounds and movements made a rollercoaster seem tame. Definitely unexpected. Definitely a test to keep my fears in check. Adam and I were in different rooms (each of us with one of our children) so I struggled with the insecurity of being "alone" in my room. Not used to all the banging and clanging noises associated with riding in a boat that size in rough seas. I want to make it clear that the unexpected sleeping issues truly did not overshadow the awesomeness of our trip. We had to get from point A to point B. So most of us wound up taking some Bonine for seasickness, but it didn't stop us from enjoying each excursion and appreciating the incredible things we were able to experience each day. The third down (this is a trilogy) happened after one of our excursions on the panga (or zodiak). Upon arriving back to the main boat in the panga my grandmother, without warning, passed out. So at first I asked myself, why is this happening? And then I realized, whether or not this was happening, God was still there and in control. That was His amazing lesson to us that day. She did revive and was carried onto the main boat. We were anchored in a small cove and our crew happened to be friends with another boat that happened to be anchored in the same cove. The other boat happened to have a doctor on board, who they promptly zodiaked over to our boat. Turned out she was just dehydrated. A little rest and a lot of water and she was absolutely and completely fine the next day. I love God's timing. She could have passed out during the panga ride, when we were far from our boat. It could have happened when our boat was not near any other boats, especially with a doctor on board. By the way, I never saw that other boat the whole rest of our trip. So very thankful that my grandmother was okay and we could all enjoy the rest of our trip together. Being on the boat for 9 days with our Ecuadorian crew was amazing. It is hard not to draw close to people you share precious time with. I love the fact that when I think of Ecuador or the Galapagos Islands, the names of those men come to mind and I can pray for them and their families. Going to the Galapagos was more then just seeing breathtaking scenery, turquoise blue water, and unique animals up close. It was also meeting the people and extending our little circle to include some wonderful people we had the privilege of getting to know in Ecuador. We returned to Guayaquil after our trip to the Galapagos. And we stayed in the same hotel. But 9 days later, there was not a trace of the fear we experienced upon our arrival. There was a new found comfort. When I write that I actually feel bad about it. I'm frustrated that I felt that way in the beginning. Trust in God keeps fears at bay. And I'm so glad for another lesson learned and a reinforcement of why it is so important to trust God in all things. Gracias, to the crew of the Letty for a wonderful experience in the Galapagos!